Welcome you to the list of Best Free Magazine WordPress Themes. Mazgines themes are ideal for tech blogs, news blogs, publishing sites, news portals, etc. Metro Magazine is an elegant responsive magazine style WordPress theme suitable for news, newspaper, magazine, technology, food, travel, blogs, publishing, sports, business and any kind of sites. Metro Magazine includes color scheme and color for categories by which you can change the look and feel of your website with few clicks. The theme is optimized for Speed and Search Engine (SEO), so you can easily climb the google rank. The theme includes social media integration, custom widgets, author bio, breadcrumb, advertisement settings, custom CSS, translation ready and more. Numinous is a clean and neat Magazine WordPress theme. It is suitable for news, newspaper, magazine, viral content websites. The theme is easily customizable using the customizer. The theme is designed with visitor engagement in mind as it has a clean layout and great typography to create a pleasing looking website and adds up to a great user experience. eMag is a well-designed responsive magazine WordPress theme specially built for online publishing. This theme is suitable for blog, newspapers, magazines, and news websites. The widget-based homepage setting makes this theme very flexible, and with the blank widgets available in this theme you can build your web site as per your need. MH NewsMagazine can turn your blog into a modern online magazine or dynamic news portals. This magazine theme is well suitable for topics like world news, politics, economy and business news. Spidermag is a fully responsive magazine WordPress Theme, designed for magazine, newspaper, news portals and editorial websites. The theme comes with 10+ different drag and drop widget. 10+ widget area that allows adding as many sections as you want with various beautifully designed layouts suitable for newspaper, magazine. 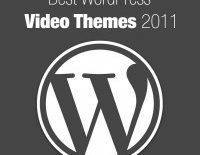 VMag is a free and fully responsive WordPress theme for online magazines, newspapers and professional blogs. The theme is very flexible and powerful, which provides a lot of customization possibilities for bloggers. The theme is clean coded, making the theme secure and SEO friendly. It is a fully responsive free theme for WordPress. MagZen is an excellent responsive magazine style WordPress theme. Suitable for news, magazine, newspaper, publishing, and business. It uses skeleton framework for grids to keep the minimal use of CSS.The core feature of WordPress Has 3 Footer Widget Areas. Black-White is a clean and well-organized WordPress Magazine Theme. Suitable for Online publishing, news, and newspapers. DuperMag is a Child Theme Of SuperMag. DuperMag is the perfect theme for news, magazine, blog, reviews, portal or personal sites. DuperMag extends the SuperMag theme with a more beautifully crafted design. Editorial is a responsive magazine style Free WordPress theme. Suitable for online magazines, newspaper, publishing, and personal blogs. It is entirely built on Customizer which allows you to customize most of the theme settings easily. SuperNews theme is an ideal theme for News, Magazine, and Blog style sites. SuperNews is a fully responsive theme with a lot of competencies features like light weight, retina ready, Google font, font awesome, cross-browser compatibility, color control, Multiple Layout Options, logo upload, translation-ready, custom CSS field, Well Documented, etc. SuperNews is a highly customizable theme. Envince is bootstrap powered magazine WordPress theme to make your new website look good. Create robust magazine site with drag and drop editing features. SuperMag is an Ultimate Theme for Magazine, designed for news, magazine, and blog, suitable for any magazine style site. SuperMag is also advertisement ready theme, and it can be added from customizer and widgets. Merlin is a beautifully designed Magazine WordPress theme with a responsive layout. The theme comes with a beautiful Post Slider, Magazine Homepage template, and a Header Widget area. ColorMag is a complete responsive magazine style WordPress theme. Suitable for news, newspaper, news portals, magazine, publishing, business, and any personal blogs. ProfitMag is a clean and fully responsive magazine theme with an elegant design suitable for blog, magazine, news or any editorial websites. The theme comes with a highly customizable theme customizer for instant customization of a website. It fits for news, magazine, publishing, media houses, tv channels, journal and other editorial sites. Verb Lite is a modern, clean and fully responsive magazine theme suitable for magazines, newspapers, review sites, and personal blogs. It integrates with the following plugins: Woocommerce, MailChimp for WordPress, and WordPress Popular Posts. It also is ideal for blogs in the following categories: business, corporate, travel, fashion, cuisine, food, celebrity news, lifestyle, science, home decor, sports, opinion, news, entertainment, movie reviews, business, politics, art, design and much more. WorldStar is a clean and modern WordPress magazine theme with a stunning featured content area to highlight your posts. The theme can be customized easily for your requirements, and it supports Magazine Homepage template, header widgets, layout settings and custom logos. WorldStar is perfectly suitable for simple blogs, online magazines or news related websites. Magazine Point is a WordPress magazine theme which is crafted with high-quality code, eyecatching design, and satisfying features. With Magazine Point you can build news, magazine, tech blog website with in minutes and still manage your site to look attractive like you always wanted. That’s All for now. Soon, we will meet in another theme list.